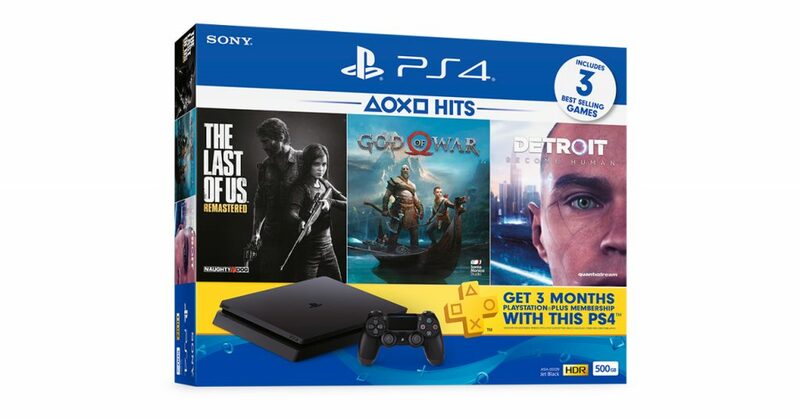 Home Games This might just be the best PS4 Slim bundle right now! This might just be the best PS4 Slim bundle right now! This year saw a lot of great PS4 bundles such as the God of War and the Marvel’s Spider-Man Limited Edition PS4 Pros, along with the NBA 2K18 PS4 Slim bundle. But recently, Sony released a new bundle that might give gamers the best bang-for buck. Introducing the PS4 HITS Bundle 2018 which includes three amazing exclusives in one package! What’s great about this game selection is that it includes two of PlayStation’s biggest exclusive titles of 2018 — God of War and Detroit: Become Human; with God of War being one of the absolute best PS4 exclusives of all time. Rounding out the title lineup is The Last of Us Remastered, an amazing remaster of Naughty Dog’s magnum opus on the PS3. 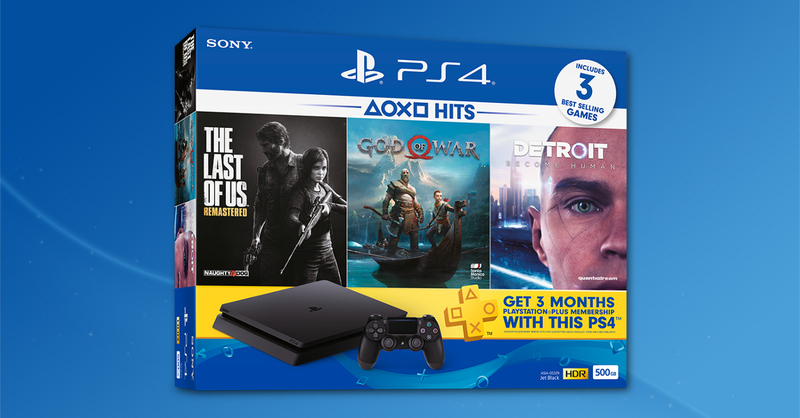 In our opinion, this package is even better than last 2017’s already awesome HITS Bundle (which included God of War III Remastered, Uncharted 4, and Horizon Zero Dawn). The PS4 2018 HITS Bundle is available now in major video game outlets in the Philippines including stores such as Game One PH for only PHP 17,995. Next articleHuawei celebrates launch of new concept store with a 1 Peso Sale!